The April issue of Artforum magazine includes The Innocence Of The Image, an article by Nasser Rabbat analysing historical depictions of Mohammed and the Islamic taboo against his representation. Several paintings of Mohammed are featured, in which his face is not veiled. 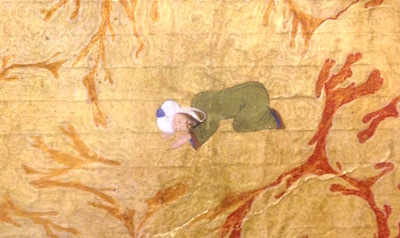 "The most awe-inspiring image of an episode from the life of the Prophet", a manuscript illumination from 1436, is reproduced as a full-page image.